We would all like to thank you, Moritz and Therese very much for having organized this wonderful trip for us. We came home last Friday, back to winter and back to work. We brought back lots of great memories and photos and our trip feels like a dream. The car worked perfectly and we never had any problems with it except that it took two people to open the back passenger door (from the inside and outside at the same time, then it worked). We showed this to your brother who picked up the car upon our return. The lodges were great. Whereever NIT had made reservations for us, we got the best rooms and the best tables (Jetty and Tug). Probably Mowani or Kipwe would have been the better choice for us than Tyfelfontein. Mushara was a bit too elegant for us but very nice. The absolute highlight of all the places was Otjiwa Mountain Lodge which had been warmly recommended to me by Therese. Thank you again so very much. 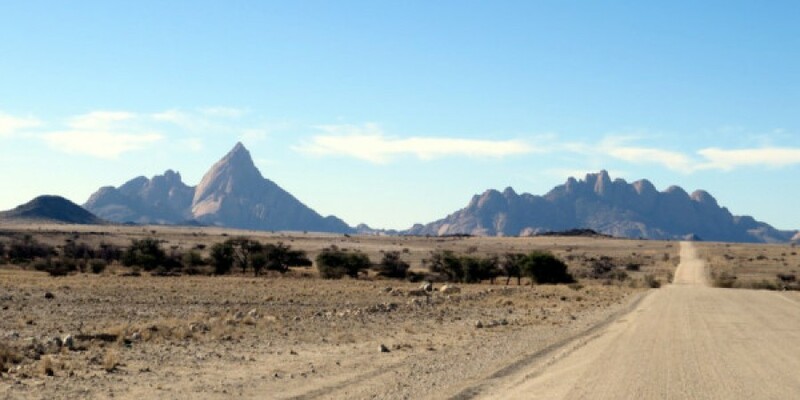 It will be a pleasure for us to recommend NAMIBIA INDIVIDUAL TRAVEL to our friends! Will you be at the „Ferienmesse“ with its new name „Grenzenlos“ in January 2018? It would be nice to see you. Please let me know if I can be of any help organising a hotel room or a nice restaurant or anything else while you are staying in St. Gallen. Maybe you have time to have dinner with us one evening?